The first-generation Cadillac CTS was introduced in 2003 and ended production in the 2007 model year. The Cadillac CTS was built on GM’s rear-wheel-drive Sigma platform. The 2003-’07 CTS came with two suspension packages­ — standard and sport. The packages have two different alignment specifications. The RPO codes for these packages can be found on the underside of the spare tire cover. Or, you can check the tire inflation sticker on the driver’s side door pillar for the original tire size. The standard or base model came with 16-inch tires; this is designated as RPO package FE1. But, 17-inch wheels were optional on some 2006-’07 FE1-equipped CTS models. These wheels were dealer installed options. The optional sport package came with 17-inch tires. These packages were known as package FE2 and FE3. These sport packages differ only in spring rates and shocks. Also, the FE4 package has a different ride height specification. Pull the vehicle onto a level surface or drive-on lift. GM recommends a full tank of fuel to get the most accurate measurements. Jounce the car’s suspension several times, making sure to pull up and release several times. 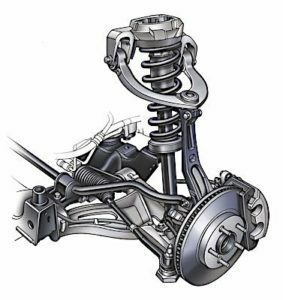 In the front, the first measurement is taken from the center of the lower control arm bolt to the ground. Next, measure the distance from the ground to the lowest point on the lower ball joint. Subtract the second measurement from the first; this will give you the height specification for that side. Average the measurements for both sides. On FE1, FE2 and FE3 models, the specification is 53 mm. If the measurement is greater or less than 10 mm, inspect and repair the vehicle before proceeding with an alignment. In the rear, the first measurement is taken from the center of the lower control arm bolt to the ground. Next, measure the distance from the ground to the center of the bolt of the outboard pivot bolt. Subtract the second measurement from the first. This will give you the height specification. Average the measurements for both sides. The specification for the rear is 59 mm. If the measurement is greater or less than 10 mm, inspect and repair the vehicle before proceeding with an alignment. Cars with the FE4 option should have a front specification of 43 mm and 48 mm in the rear. If the measurement is greater or less than 10 mm, inspect and repair the vehicle before proceeding with an alignment. 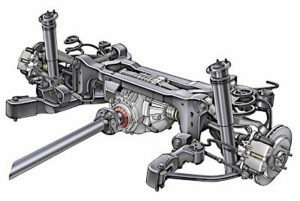 The front suspension on the Cadillac CTS is a double-wishbone style. The upper ball joint is a follower-style joint and should have no play radially or axially. The lower ball joint is a loaded joint. 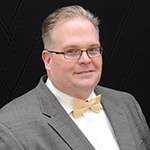 The lower ball joint should not have more than 0.125” of play radially or axially. The normal camber and caster adjustments are achieved by repositioning the lower control arm in slotted control arm brackets. GM and tool manufacturers offer a turnbuckle tool (J45845) to aid in making the adjustments. 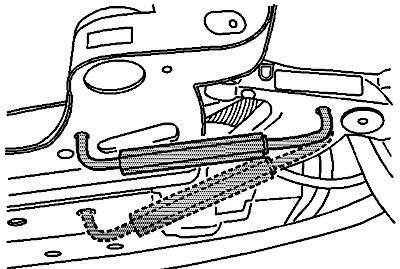 If an adjustment cannot be completed, inspect the control arms and mounting points for damage. No special kits are required. The only recommended tool is the J45845 Camber/Caster Adjustment Tool. The rear suspension uses multiple links. The upper control arm has an upper ball joint that should have zero play. Inspect all bushings for wear and excessive play. Rear camber adjustment is achieved by moving the lower control arm in an inboard slotted control arm bracket. Toe is adjustable with the threaded lower link. 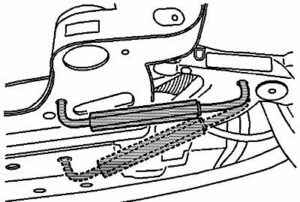 If the thrust angle of the vehicle is beyond specifications, inspect the rear suspension carrier and mounting bushings. 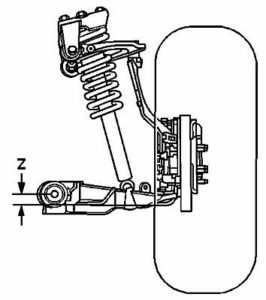 The rear suspension carrier can shift and cause excessive toe adjustments and thrust angle problems.